1. Strategic theme (“Digital Hub”): Apple introduced FireWire technology in 1999 that would help transfer video from cameras into iMac fast. The video could then be edited, mixed with music and distributed further. Seeing this Steve Jobs realized, “Using iMovie makes your camcorder ten times more valuable. That’s when it hit me that the personal computer was going to morph into something else.” Jobs would call that “something else” – “Digital Hub”. A side effect of PC becoming a hub was that it would create opportunity for personal devices to become simpler. Note that the source of the insight was an internal "bright spot" (i.e. iMovie-camcorder joint value creation) not a trend discussed externally. Digital hub would soon become the dominant theme during the brainstorms like the one mentioned above. I have facilitated “What next?” workshops for the past several years. Rarely do I come across a team or its leadership with clarity on strategic theme such as “Digital Hub”. 2. Investment confidence ($10 million check): iTunes software was launched in January 2001. However, Jobs had started pushing for the portal music player idea a few months earlier – in the fall of 2000. At that time, Rubinstein responsible for hardware engineering, told Jobs that the right components were not available yet. During one of his regular supplier visits to Japan in February 2001, Rubinstein came across a tiny 1.8-inch Toshiba hard-drive with 5GB space. Toshiba engineers were not sure what it could be used for. Rubinstein realized its potential use in the portal music player. Fortunately, Jobs was also in Japan giving a keynote at the Tokyo MacWorld conference. That night he met Jobs at the Hotel Okura where Jobs was staying and said, “I know how to do it. All I need is $10 million check.” Jobs immediately authorized it. That was roughly 2.5% of the R&D spend at that time and R&D budget was around 5% of revenue. This demonstrates Steve’s investment confidence – not that easy to find at least in India. 3. Business plan review (Experimentation focus): “There are certain meetings that are memorable both because they make a historic moment and because they illuminate the way a leader operates.” This is how Isaacson describes the iPod’s proposal review meeting in April 2001. Tony Fadell, a new joinee and a key brain behind iPod was the presenter and in the audience were Jobs, Rubinstein, Schiller (designer), Jonathan Ive (Head of design), Jeff Robbin and marketing director Stan Ng. It was Fadell’s first presentation to Jobs. Fadell began his presentation with a slide deck on the potential market and existing players and soon realized Steve doesn’t like slides. Steve later told Isaacson, “If you need slides, it shows you don’t know what you’re talking about.” Fadell quit showing the slides and showed the three different models he had brought in to the conference room. Rubinstein had coached him on what order to reveal them so that his preferred choice is shown last and with a bit of suspense. The last mockup option was hidden under a wooden bowl at the center of the table. Fadell took various parts out of a box and spread them on the table. These includes 1.8-inch drive, LCD screen, boards and batteries all labelled with their cost and weight. This was followed by a discussion around how the prices might come down in the coming year. Some pieces could be put together, like Lego blocks, to show options. The models were made up of Styrofoam. The first one had a slot for removable memory card, the second one had DRAM memory which was cheap but user could potential lose all songs if battery ran out. Jobs didn’t like both of these models. The final model was shown by lifting the bowl and revealing the fully assembled model of 1.8-inch drive. Next Schiller demonstrated the trackwheel through a few models. Jobs shouted, “That’s it!” The decision was made and Fadell & co got working on the project immediately. As an innovation leader ask yourself: (1) Do I have any strategic insight like the “PC as a Digital Hub”? (2) Am I willing to write a “$10 million check” for the strategic initiative when a “Rubinstein” shows up? (3) Can we emphasize experimentation (prototyping) in the business plan review over PowerPoint projections? 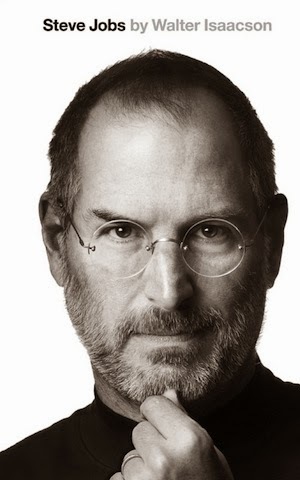 Source: Primary source of the story is chapter 30 of Walter Isaasson's biography Steve Jobs. Image source: en.wikipedia.org. “Apple’s R&D spending hits bottom as percentage of revenue” by Larry Dignan, ZDNet.com, October 17, 2011. (has a table that gives Apple’s R&D as a percentage of revenue since 2000). Is Google 20 percent time same as "Right to experiment"? A few months back I presented following argument to PGSEM students at IIM Bangalore: Google “20 percent time” practice is same as “Right to experiment (RTE)”. I thought I had made a good case. However, a number of hands were raised and they all argued against the statement. And soon I realized that I was indeed wrong. How exactly is Google 20% time different from RTE? Let’s explore in this article. Do you need to take permission from your manager if you have to do an experiment – assuming no impact on your deliveries? Does your team member need to take your permission for performing an experiment – assuming no impact on deliveries? Legitimacy: When an organization formally or informally approves a “20% time”, it makes “right to experiment” legitimate. The legitimacy makes a difference to many employees who don’t have to worry about whether what they are doing is “right” or “wrong”. Even if it is not a formal policy, it still sends a message that management values experimentation. Infrastructure: If you want to run a 20% project, you may need additional help. How do you communicate your intent to other engineers? Google-like organizations create bulletin boards where such projects can be announced where people can enrol etc. It makes it easy to implement such a policy. Senior management attention: Perhaps the most important aspect of 20 percent time is that somebody from senior management is watching the progress of at least the interesting 20 percent projects. As in Paul Buchheit’s story of AdSense, when a project shows significant promise, resources are put behind the project and it is incubated. If such a mechanism is absent, the motivation to work on the project inside the company is low. Last year we saw a debate as to whether Google has killed 20 percent time. Ryan Tate has argued nicely that Google couldn’t kill 20 percent time even if it wanted to. Why does Einstein say that “One Max” person reading his theory will suffice? Germaine (23:30): You want your book to have impact, don’t you? Germaine: And if you want it to have impact, you got to have people read it, don’t you? Germaine: Okay, in your field, how many people do you figure need to read your book to have some impact? Germaine: No, no, no. In order for your book to have an impact, a lot of people have to read it. Every man in the street has got to have one. Einstein: No… Only one, Max. Einstein: Max Plank, a German physicist… very influential. If he reads it, he makes my reputation. The play is a fiction. However, the point Steve Martin brings out in this dialogue is true. For a person with a “great idea”, an influential person can be of much greater help than a bunch of customers. We call such a person “champion” in our book “8 steps to innovation” and for Einstein, Max Plank was indeed such a champion. By the time relativity paper was published, Max Plank was a respectable name in theoretical physics and Einstein was an unknown figure. After relativity paper was published Plank was not only the first person to give a lecture on the subject, but also the first person to write a paper building on Einstein’s idea. Later he made a strong recommendation that brought Einstein to University of Berlin. Plank also recommended Einstein for the Nobel Prize. There is a reason why I find Plank’s championing of relativity surprising. Along with relativity Einstein had published another paper on the nature of light (light quanta). This paper built on Plank’s work which had introduced the now famous Plank’s constant. However, Plank did not agree with Einstein’s interpretation of the nature of light. In spite of this disagreement, Plank championed the “other” idea of Einstein. Quite remarkable! Working on your pet idea? Then think of who could be your "Max Plank"! Walter Isaacson, “Einstein:His life and universe”, Pocket Books, 2007.